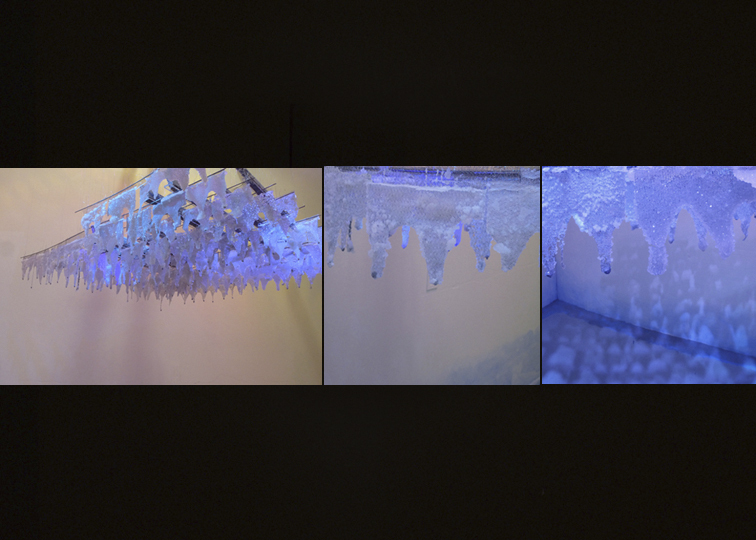 Wax, sugar crystals, blue powder pigment, halogen, incandescent, and LED lights, electronic timers. 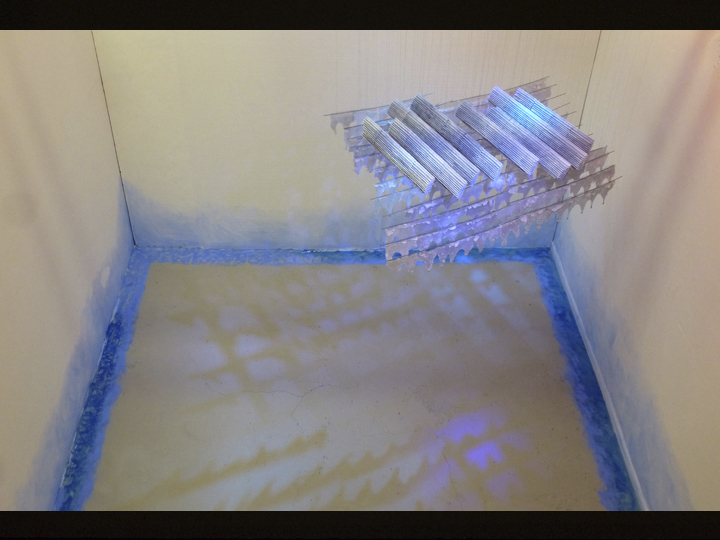 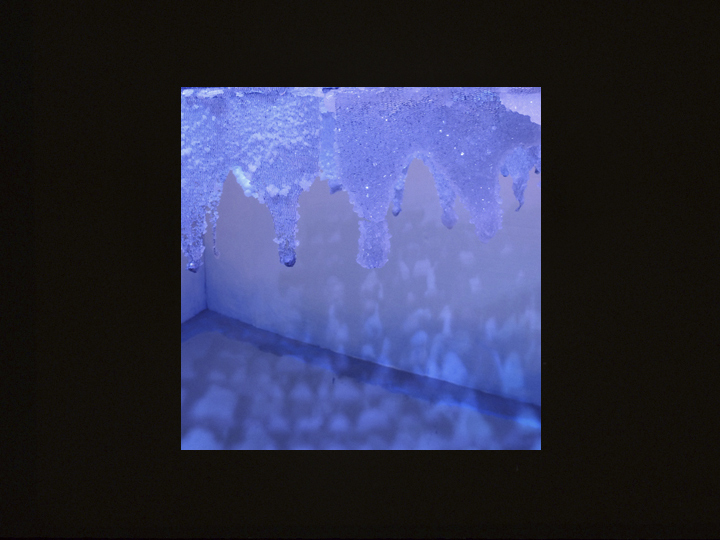 Floating object 3 ft. x 4 ft. Room 10 ft. x 11 ft.
An installation that highlights a complex floating architecture grown out of sugar crystals and wax and bathed in changing frequencies of blue, situating one in layers of eye/ brain/ emotion the human psyche experiences from the shifting colors of blue. 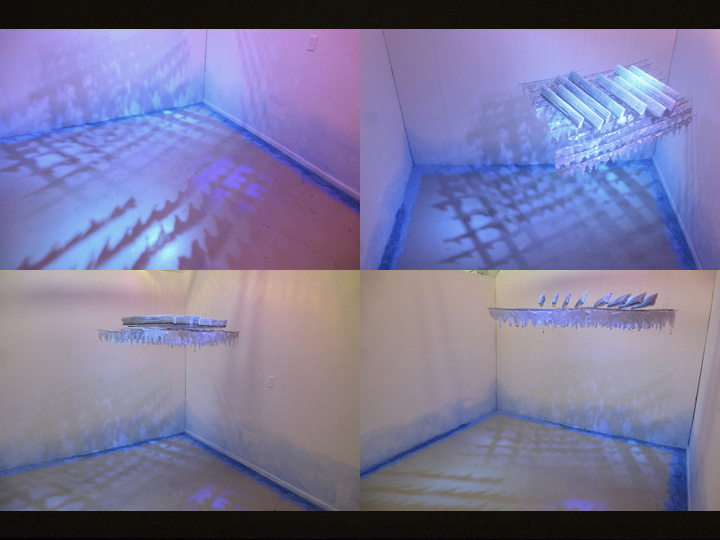 From skylights, subtle ambient daylight changes into night time, and assorted electrical lighting on timers transform an intricate floating architecture, room color, luminance, and quality of emotion from a range of blues.